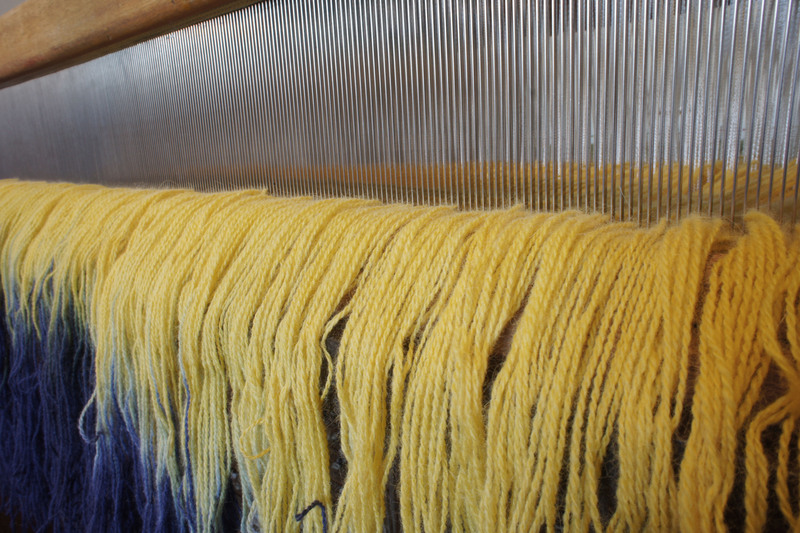 In this post I will talk about setting up the loom ready for weaving which involves putting the warp on to the loom. These threads need to be put on the loom in a very particular way to enable hand weaving. First of all one end of my warp is wound on to a rotating beam at the back of the loom. To ensure the threads are spread across the width of this beam evenly I use a raddle which is a wooden bar with nails at half inch intervals. The threads are sectioned into half inches, between each of the nails. Each individual thread is then put through a separate heddle, for my handwoven teddy bears there can be around 800 threads. 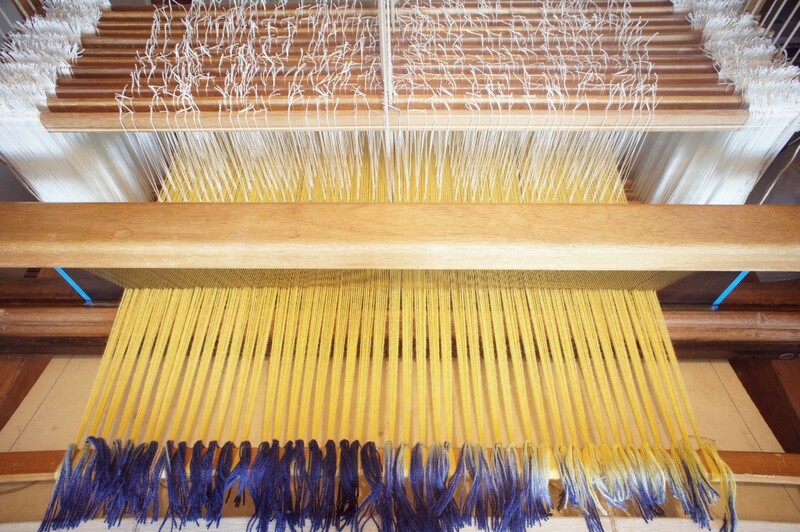 Heddles are pieces of polyester thread which have an eye like a needle in the middle. 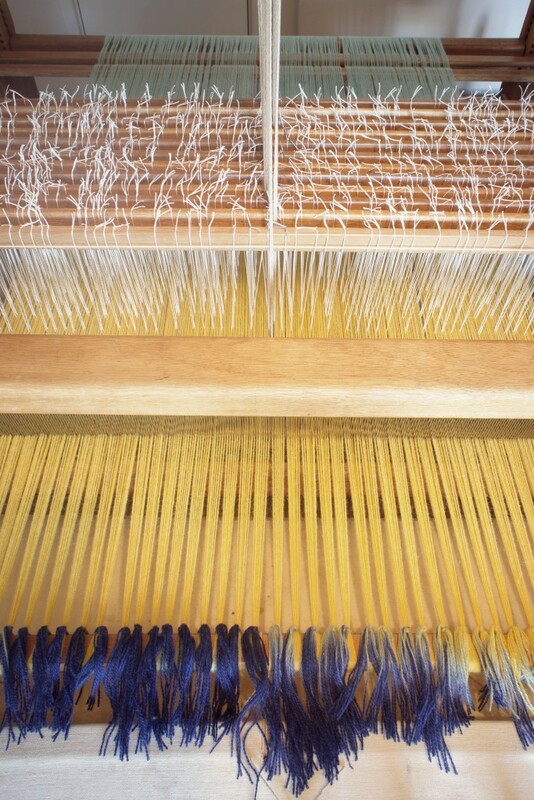 Each of thread needs to be threaded in a certain order and through a particular heddle. This controls the types of patterns that will be handwoven on the loom. It is really important that when I weave my fabric for my teddy bears the threads are distributed evenly across the width of the fabric, and not too close together or too far apart. This is set using a reed which has a certain number of gaps per inch. A set number of threads is put through each of these gaps, usually two or three. The other end of the warp is then tied on to a rotating beam at the front of the loom. 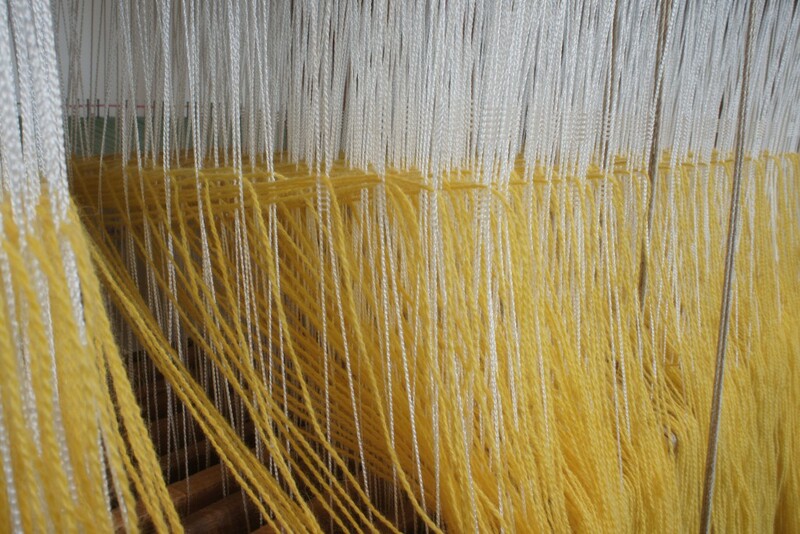 The tension of each and every thread must be the same to avoid problems when weaving. 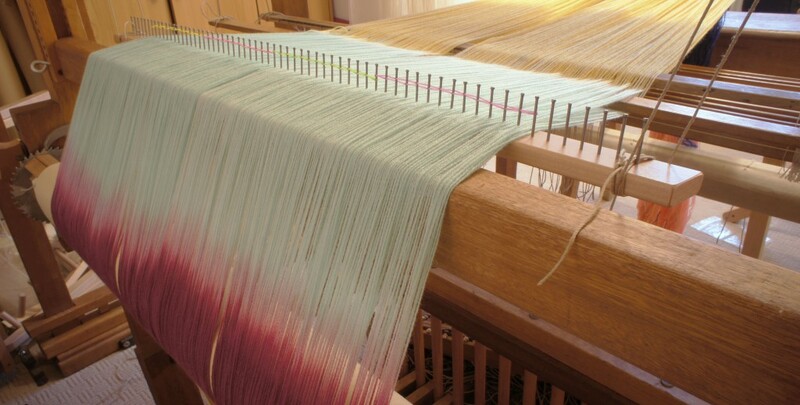 I will then have my set of threads (the warp) tied from the back of the loom to the front of the loom under tension, threaded through the heddles and reed. These form all of the vertical threads in my final fabric. At this point I am ready for weaving.